When one is released from the prison of self, that is indeed release, for that is the greater prison. When this release takes place, then one cannot be outwardly imprisoned. When they put my feet in stocks, I would say to the guard, ‘You cannot imprison me, for here I have light and air and bread and water. There will come a time when my body will be in the ground, and I shall have neither light nor air nor food nor water, but even then I shall not be imprisoned.’ The afflictions which come to humanity sometimes tend to centre the consciousness upon the limitations, and this is a veritable prison. Release comes by making of the will a Door through which the confirmations of the Spirit come. – Abdu’l-Baha, Abdu’l-Baha in London, p. 120. My cousin, Mahvash Sabet, is now in the women’s ward of Evin Prison, which is well known for its human rights abuses in Iran. 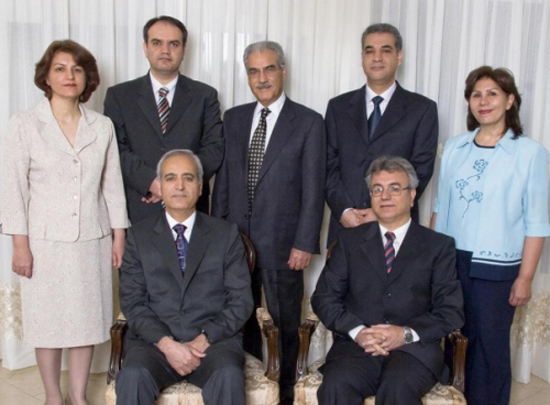 She and six others were part of an ad hoc leadership group of the Baha’i community of Iran, known as the “Yaran-i-Iran,” or friends of Iran, who were arrested and detained in 2008. May 14 will mark six years since Mahvash’s colleagues were imprisoned for their faith. 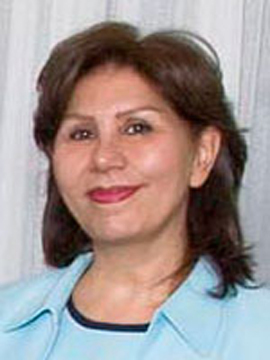 Mahvash herself was arrested a couple of months earlier in Mashhad, on March 8, 2008. This is not the first time Mahvash has been imprisoned for being a Baha’i. In 2005, on the day of her daughter’s wedding, six unexpected guests arrived early, knocking at their door around 6:30 a.m to arrest Mahvash. They were officers of Iran’s Ministry of Intelligence, and they came bearing a gift: a court order to search the home and arrest Mahvash. Several guests, family and friends from out of town, were staying with Mahvash, and they attempted to persuade the officers to delay her arrest until the next morning so that Mahvash might attend her only daughter’s wedding. The officers refused and proceeded to search the house, ravaging through even the most personal items until noon. Throughout the ordeal, Mahvash consoled her guests and gave her friends instructions for conducting the ceremony in her absence. Mahvash was arrested and detained in Evin Prison for 35 days, during which time her family was intentionally kept in the dark and her daughter cried daily. They had no idea where Mahvash was or whether she was even alive. This episode of arbitrary arrest and detention was not Mahvash’s first experience of persecution because of her religion, either. Before the 1979 Islamic Revolution in Iran, the treatment of Baha’is had not yet reached the heightened levels of systematic oppression that it reached after the Revolution, and it was possible, even as a Baha’i, to find good work. At that time, Mahvash was a schoolteacher. She was so exemplary in her field, and popular among her students, that she was hired as the principal of a prestigious school in Tehran. Before she could assume that post, she was promoted to an even higher post as the principal of the school for Tehran’s Air Force Base personnel. 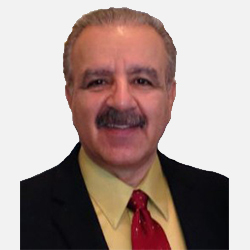 Soon after the Revolution, when Baha’is became prime targets for state-sponsored persecution, Mahvash was dismissed from this post. In the years after her dismissal, she found ways to serve her community, despite the intense oppression. She became an instructor and administrator for the Baha’i Institute for Higher Education (BIHE), an informal network of higher education that the Baha’i community established to provide college-level education to Baha’i youth, who are excluded from the nation’s university system. During this time, she served as a member of the Yaran, ministering to the basic needs of Iran’s Baha’i community, such as marriages, divorces, and other community affairs, as Baha’is have no clergy and the Iranian government banned Baha’i institutions following the Revolution. It was Mahvash’s membership in this seven-person leadership group that landed her in prison in 2008. While Baha’is are strictly nonviolent, law-abiding, and do not seek political power, Mahvash and the other Yaran were brought up on various false charges, including espionage, acting against the security of the country, and “spreading corruption on earth.” Mahvash and the others spent the first four months of their imprisonment in solitary confinement, and have since endured countless interrogations, inhumane conditions, and years of separation from loved ones. They were eventually sentenced to 20 years in prison, the longest sentence of any prisoner of conscience in Iran. Mahvash’s commitment to her beliefs, and her grace in such appalling and unjust circumstances, is an inspiration not only to the beleaguered Baha’i community of Iran, but to all supporters of religious freedom and human dignity. On this sixth anniversary of the imprisonment of the Yaran, I ask you to join me in remembering Mahvash and all prisoners of conscience in Iran; to call on the Iranian government to respect the human rights and civil liberties of all its citizens; and to release all prisoners of conscience in Iran, including the members of the Yaran.